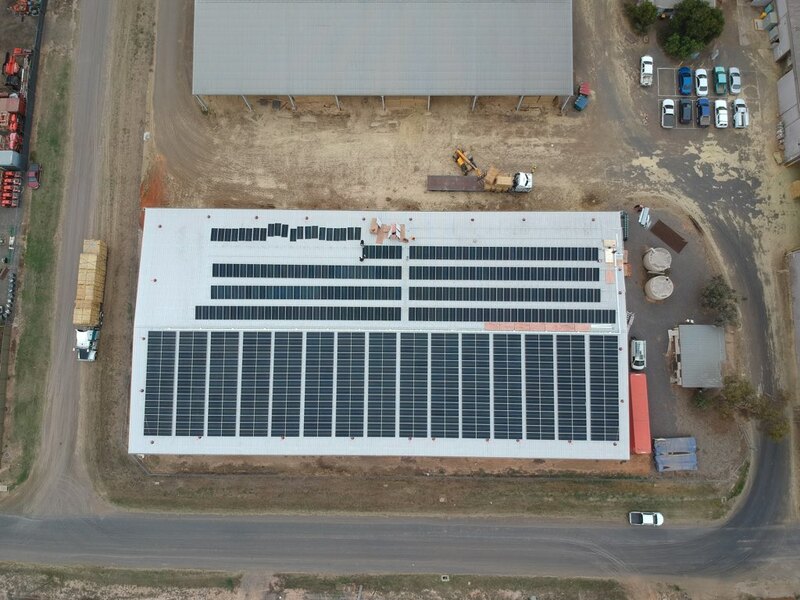 Elecforce Solar is a Bayswater, Victoria based Electrical and Solar Installation Company. We concentrate our efforts in the NEast suburbs of Melbourne but can easily travel. Elecforce fills a niche market sitting between the Big4 monsters and the smaller General Electrical contractors. The actual install of Solar to your roof and the support of the ongoing warranties are our competitive advantages. Paul Caulfield is our head Electrician. He started in 1995 and has specialised in Solar since 2011. Paul has overseen the installation of 1100 Residential and Commercial systems totalling over 7 Megawatts. Site visits are not compulsory but are offered either after the quote or before the install. And we should be able to better any genuine written quote (there is some product we would not support) so be sure to ask and get what is best for you. Went through solar quotes and elecforce (Hugh were the first to get back) and received prompt knowledgeable advice and options. Some quotes from other firms took weeks to receive but Hugh was next day. I did persist and get other quotes which was helpful for different perspectives and of course cost estimates. I also received a quote from another firm that came out to visit and their plan and advice was also helpful as trees in the neighbours yard had been removed. 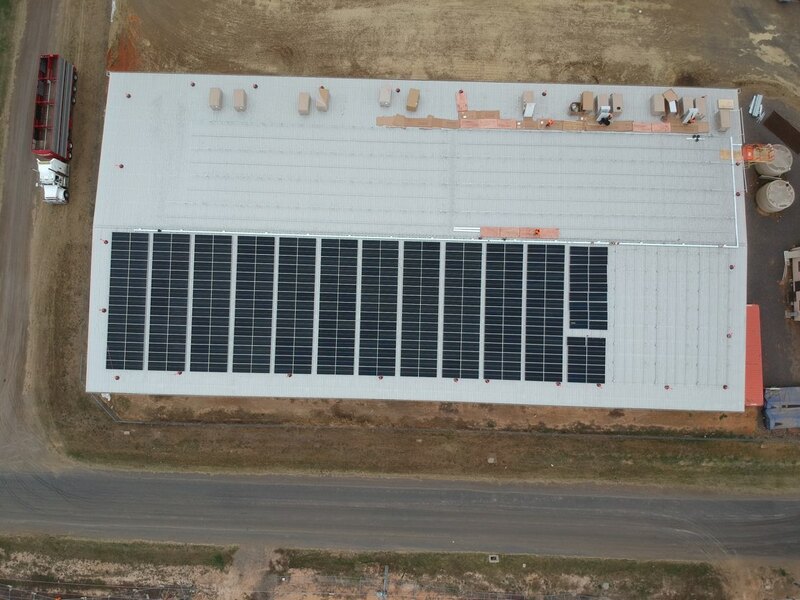 It appeared on the initial site plan based on aerial images that micro inverters may be necessary which was later clarified with elecforce as not being necessary. I was ultimately happier with the plan from elecforce and bumping up to 5.9kw with REC twin peaks panels and a flex PowerPlay monitor (which was a little bit of a hassle to set up but has been very useful and I'd recommend) . Finn's very good advice is to go as big as you can...in hindsight I probably have gone up a little more to 6.6kw. Installation was done efficiently by elecforce and well beyond the time frames of other firms. On good days I've been producing 35kw which is excellent. With the new Victorian government subsidy, it's a bit of a no brainer to go solar if you are staying in your property for any length of time. I'd highly recommend Elecforce and going with a local firm of electricians which has been in the business for some time. Thanks for the feedback and support on the competitive advantages Elecforce has. Solarquotes is not just about getting a range of price comparisons but its biggest value (as you point out) is to build up a body of knowledge that leads both you and me to what is best for your roof. After that price is the last thing not the first. First, big thanks to Finn and SolarQuotes for organising the 3 quotes from their trusted suppliers. We went down this road after reading heaps of helpful stuff on SolarQuotes website, convincing us that Finn is an expert in the field and we could trust his selection of accredited suppliers based on much past experience with customers. Big shout out to Fin!! Second, of the 3 companies, 2 contacted us straight away and provided quotes, while 1 delayed for a number of days, to the point that by the time they contacted us we had pretty much decided on the quote we would accept as between the other 2. Hugh from Elecforce was very helpful in providing options and recommendations regarding the right system for us. Based on research beforehand, we had already decided that as this is a 20+ year investment for us, we would only use LG or Sunpower panels due to their 25+25 year warranties. Elecforce was able to give us a price for Sunpower (slight edge over LG in performance) that was better than the quote we got for LG, so Elecforce and Sunpower got the guernsey! These were a brand new model of panels from Sunpower - their first with micro-inverters - so there was a delay while they arrived from overseas. As soon as they were available, Elecforce were on the job and did the installation. It was a very windy day when they came, so they got everything done except put the panels up - and even though it was the Saturday at the start of Melbourne Cup long weekend, 2 of the guys came back on that morning to complete the job which gives a lot of credit to Paul (owner) of Elecforce in regard to top quality customer service. Since then, we've been producing energy very well - highest production in one day so far is just over 41 kWh from our 6.5 kWh system, and we're not even in summer peak production period yet - can't complain about that. We're very satisfied that we got good value for money and highly recommend Elecforce, Sunpower panels and Enphase Envoy system. Thanks Denis, nice words with the emphasis on your reports about the performance of the new Sunpower P series with Enphase. As I say "Sunpower are the Grandaddy of Solar yesterday, are today and will be in the future" Now that Enphase is an option with Sunpower Elecforce will always make Sunpower as competitive in pricing as we can just so the option gives clients as much pleasure as it does to you Denis. Great to deal with all through, had a few hiccups setting up the app so I could see inverter output on my phone but such a minor thing overall. I am yet to have my connection finalised with my supplier due to unfinished paperwork over 4 weeks after initial install. COES is supposed to be done within 30 days and currently isn't done after 31 days. Thanks Daniel for bringing this to our attention. Without this feedback we cannot improve our systems and procedures. Could we look at the timeline as below. Heres where we went wrong with the Solar Connection paperwork. Our form did not have the model number of the Inverter noted so AGL did not go through their processes of allocating a solar plan (8 working days) or log back to us requiring an amendment. We were only aware of this when you called us last week informing of the email AGL sent to you. We have since relodged the correct paperwork and expect the meter to be put on a solar plan. In spite of this you will be dissapointed that you have missed out on approx 2 weeks of the feedin tariff IF we had got it exactly right and completed the entire Solar turnaround in less than 1 month - we are proud that Elecforce can do this within 1 month whereas a lot of Solar companies cannot even install for 4-8 weeks. A 10 kwt system for the last 2 weeks could export 20kwh per day after home offset. So we are depositing back $40 to your account as compensation. I hope this goes someway to improving your veiws of Elecforce. Elecforce were very good at filling in all of the appropriate paperwork for our retailer. They have responded to all enquiries in a prompt and courteous manner. It still remains a bit of a mystery in terms of who to believe regarding the quality of panels. I guess you can only hope you get what you pay for, in the end. Broken roof tiles were an issue. Had to replace many tiles. Because this is the poorest review Elecforce have received and way outside our norm I need to address your ratings from our point of view. (1) Value for Money - a 4.28 Winaicco with Fronius 5 kwt Primo at $5975 is very good value for money and you did compare that against other like for like quotes on pricing. If you chose the price I cannot understand why you would devalue your own price decision yet still rank the quality of the system as 5. (2) Installation - I presume that the broken tiles were your main issue on installation. Old Terracotta tiles are always an issue to all installers and any other trades working on the roof. You did only have a few replacement tiles on hand and Shaun did go to the supplier and replaced 30 tiles which Elecforce paid for. You have also held back $100 of final payment for other chipped tiles. It is disputable as too whether Elecforce were responsible. (3) Customer service - You were site visited and quoted on the day you put through your request to SolarQuotes (Jan 12th). I responded to all your email queries on the date received. The deposit was received on the 23rd Jan and the install was completed in the proper time frame especially considering Dec and Jan was a rough time for Solar in that product like Fronius was not available. Elecforce is able to take on board criticism because it improves us all however I think that the issues you have had are solely in the construction of the roof material. Elecforce did whatever we could (at our cost) to better the roof and install Solar. I think that you have been too harsh. These guys were just so easy to deal with from the salesman (Hugh) through to the installation team & Inspection. Can't give these guys any more than 5 stars but they definitely deserve it. Elecforce has been very professional and have a very good team. I received a call from Hugh Couper. Hugh was very patient and replied to all my queries, he was not interested that I may/maynot give him business, his major concern was I had right information to make a decision. This is very rare quality and truly appreciate Hugh's input and professionalism. Given my knowledge on Solar energy was limited, he needed to be lot more patient with me and answer my queries. After completing my order, he transferred me to Paul Caulfield. Paul is very good to deal with, the team he sent to my place to install panels was very professional too and did a neat and clean job. Upon completion of installation, they explained to me in detail what would happen with regards to process of connecting it to grid. Once installed, I had questions after week or so, and both Hugh and Paul were very helpful in answering my questions. I would recommend Elecforce as preferred installer to anyone in process of installing Solar Panels.